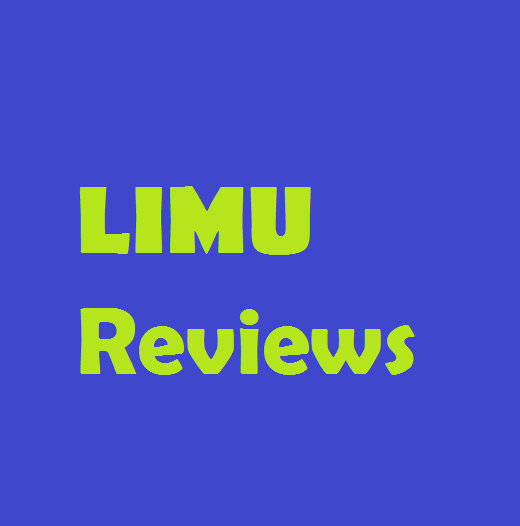 LIMU Reviews: Worth The Cost To Join? Limu is a multi-level marketing (MLM) company that focuses on offering health and wellness products. The company is based in Lake Mary, Florida, and is comprised of experienced and highly-qualified executives. In its years of existence, Limu has successfully established itself as a solid MLM company with an impressive compensation plan for its members. Read on to know more about the company, and determine whether it is legit or a scam. Limu is a health and wellness MLM company that was launched in 2004. Its founders are Greg Bennett (retired) and Gary J. Raser, and both have an impressive background in network marketing. The company is also run by Chief Operating Officer Lance Reese, Senior Vice President Ryan Barson, Vice President for Finance Mary Baxley, and Vice President for Marketing Justo Nunez. These leaders are all highly-qualified, which is why Limu remains solid to date. Limu’s product line focuses on fucoidan, a nutrient that is extracted from brown seaweeds and is believed to contain anti-viral and anti-inflammatory properties. The Limu Original is the company’s flagship product that contains the main ingredient, fucoidan, mixed with four fruit juices. This product is free of sweeteners or sugar. The Limu Lean is a meal-replacement shake that is packed with fucoidan seaweed extract, natural caffeine, and protein that will help boost your energy and suppress your appetite. This will help users lose weight and stay fit and energized. They also have the Limu Lean Burn (a ready-to-drink fat burning shake), the Limu Lean Appetite Controller, and the Limu Lean Cellular Cleanse. There is also an energy drink, called the Blu Frog, which contains two ounces of Limu Original with B vitamins and caffeine. The company says Blu Frog energizes you without the sugar crash. The Blu Frog 2, meanwhile, is a similar product that has less sugar. Many people who have chosen to become part of a multi-level marketing company have succeeded through these compensation plans. You can simply choose to sell products to retail customers, but these income opportunities will help you boost your earnings. This is a skill that an MLM member should focus on. One of the biggest benefits of being part of Limu is the absence of the joining fee. This is somewhat unusual in the world of multi-level marketing. There are, however, starter packs that the company sells to its new promoters. The more expensive packs will make you earn more money and become entitled to better benefits – which is typical of most MLMs. The absence of a signup fee will lure people to join the company, whether it is a part-time, full-time, or trial basis. It sets itself as a low-risk company. Furthermore, Lumi offers training to its promoters. The company encourages members with limited experience in network marketing to join and become familiar with the industry. This is something that most MLMs offer to their members. The company also helps its promoters by organizing corporate events that will bring them together to share tips and tricks in the trade. This is a good way of creating a solid community, as well as camaraderie among promoters. Another good thing about this MLM is its car program and the chance to win vacation trips. The company claims that such incentives are achievable for members at the lower level of the hierarchy, something that not all MLMs have. Limu has received numerous awards, including those related to marketing, business, digital media, and event planning. These recognitions allow the company to have a certain level of credibility. What makes it more credible is its A+ rating from the Better Business Bureau, which shows that the company is committed to helping customers with their concerns. One of the company’s possible pitfalls is the taste of the products, which many customers complain about. Since their main ingredient is derived from seaweed, the taste should no longer surprise you. Taste is subjective because each person can have a different view on it. Another common complaint is the steep prices of its products. Limu does not provide a price list on its official website. In addition, while the company does not charge a sign-up fee, the compensation plan is quite challenging for members to make more money. It is, after all, a multi-level marketing company, so you will really have to work double-time on recruiting promotes as this is where you can earn the most. A lot of people have achieved success in the industry but many struggled to survive due to the lack of skill. You can keep on selling Limu products to retail customers, but you will want to build a solid network of promoters under your wing in order to expand your income opportunity. You are probably thinking whether Limu is a legit company or a scam. It is legit. The company has been around for years, offering health and wellness products as well as income opportunities for interested individuals. As a multi-level marketing company, it is no longer surprising that some people are doubting the business. This industry requires a tremendous amount of hardware and socializing in order for you to succeed. While offering the products to potential and existing customers will help you earn money, your success will depend on how big and solid your network is. The compensation plan, however, is favorable mostly to the industry veterans. It means that beginners will surely have a difficult time in claiming the rewards and bonuses that the company offer. With over 13 ways to earn money, anyone who has the experience and skills can definitely do well with Limu.